1 Yr. 3 Yrs. 5 Yrs. 10 Yrs. This chart does not imply any future performance. This chart illustrates the performance of a hypothetical $10,000 investment made in the Fund ten years ago and assumes reinvestment of dividends and capital gains. The Russell 3000 Value Index is a capitalization-weighted index composed of those companies that are among the largest 3000 US-incorporated equities by market capitalization that exhibit value characteristics such as lower price-to-book ratios and lower expected growth rates. This index is a total return market index, which assumes that all cash distributions are reinvested, in addition to tracking the price movements. The “Benchmark” is a weighted average comprised of 60% Russell 3000 Value Index / 30% ICE BAML 1-3yr BB Cash Pay High Yield Index / 10% ICE BAML 3-month T-Bill Index (rebalanced monthly). The Russell 3000 Value Index is described above. 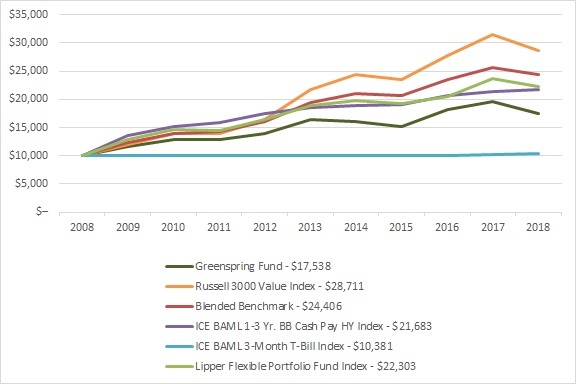 The ICE BAML 1-3 year BB Cash Pay High Yield Index, a subset of ICE BAML U.S. Cash Pay High Yield Index, consists of all securities rated BB- through BB+ by S&P with a remaining term to final maturity of 3 years or less. The ICE BAML U.S. 3-month T-Bill Index reflects the performance of purchasing a single T-Bill issue at the beginning of the month and holding it for a full month. The Lipper Flexible Portfolio Fund Index, as defined by Lipper Inc., is composed of funds that allocate investments across various asset classes, with a focus on total return. 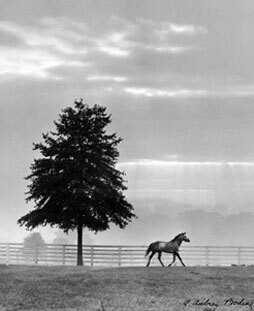 You cannot invest directly in an index.